Complete diagnosis of cardiovascular disease is consisting of determining the etiology, determining the structural changes, determining the physiological abnormalities, to estimate the remaining functional capacity of the heart. Treatment and prognosis are based on a clear understanding of these four factors. The etiology is determined on the basis of years of patient history, specific changes, laboratory tests, such as: antistreptolysine zero titer, a serological test for a syphilis determination, iodine protein test or serum enzyme test. 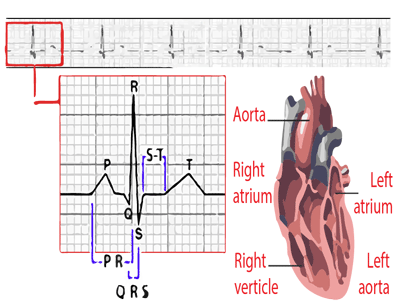 Abnormalities of cardiac structure and its functions can be determined through careful physical examination, in which is necessary to add X-ray and ECG findings. Cardiac catheterization is needed to determine the size of the shunt and to measure pressures in the heart chambers, aorta and pulmonary artery. Measurement of dye curves is used in certain cases of unexplained right – left and left-right shunt. Angiocardiography and cineangiographic in two directions is used to show the anatomy of congenital and acquired anomalies, the extent of valve insufficiency, heart tumors, etc. The most common symptoms of heart disease are: dyspnea, fatigue, chest pain and palpitations. However, as all above symptoms can be found in diseases that are not related to the heart, the proper interpretation of symptoms depends on the systematic examination and diagnostic studies. A dyspnea caused by heart disease is usually associated with enlarged heart and other structural and physiological disorders. The most common type of dyspnea caused by heart disease is dyspnea fatigue with shortness of breath that occurs even at moderate fatigue. An ortopnoa dyspnea in the supine position, which can be eliminated in sitting position, exists only in an advanced stage of a heart failure. A paroxysmal nocturnal dyspnea in suddenly awakened patients from sleep, that forced him to sit on the bed or stand up, may be one of the first symptoms of left ventricular heart failure or very pronounced mitral stenosis. Dyspnea fatigue can be found in other circumstances not related to heart disease, for example, can occur in people with weak physical condition, in obesity, debility, in old people, patients with chronic lung diseases, anemia and obstruction of the airways. Orthopnea can occur in very obese patients with ascites, regardless of the cause in gastrointestinal disorders that cause abdominal distension and in the third month of pregnancy. A paroxysmal nocturnal dyspnea may occur in adults who have first attack of bronchial asthma, and cases of obstruction of the airways caused by paratracheal tumors. Anxiety and cardiac neurosis may also cause dyspnea. Such patients often report that they are unable to breathe appropriately. A psychogenic dyspnea is associated with acute respiratory alkalosis which leads to mental disorders, paresthesias of the limbs or around the mouth, and then to tetany, tremors and fear. Fatigue, which can be removed with resting is mostly caused by a decrease in heart functions. This can be a major difficulty in congenital heart defects, cor pulmonale, or mitral stenosis which are complicated by the pulmonary hypertension. Asthenia, chronic fatigue and sleepiness that do not improve after rest are usually caused by mental changes as depression, cardiac neuroses and long-term care, or may be a component of “a neurocirculatory asthenia”. Organic causes of fatigue include: chronic infections, anemia, endocrine and metabolic changes, chronic poisoning, the use of depressive and sedative drugs, malignancy, collagen disease, and all the debilitating diseases. Chest pain occurs in following cardiovascular changes, angina pectoris (this pain is caused by intermittent myocardial ischemia), myocardial infarction, myopericarditis, in the case of the presence of fluid in the pericardium with cardiac tamponade, aortic dissection or aneurysm of the aortic wall, pulmonary embolism or pulmonary infarction. 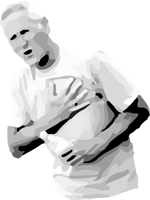 Chest pain is one of the most common disorders on which patients are complaining. It is necessary to carefully examine its quality, location, spread, duration, and factors that accelerate, worsen or remove pain. It is necessary to make several serial examinations and laboratory tests. In addition to recommending its advisable to make and fatigue tests, therapeutic trials, and selective coronary cineangiography. However, some other diseases that are not related to the change of heart are followed by chest pain and its hard to distinguish them from heart disease. These include: arthritis or disease of discus in the upper or lower thoracic spine, heart neurosis, neurocirculatory asthenia and other emotional changes, sliding hiatal hernia, acute or chronic cholecystitis, acute pancreatic, cardiospasm, peptic ulcus, esophageal pain, changes that cause localized pain in the chest wall, pectoral strain or inflammation of the intercostal muscles and ligaments, post myocardial infarction syndrome, spontaneous pneumothorax, pleurisy, diseases of spinal cord, mediastinal cancer, malignant changes in the ribs and vertebrae, and mediastinal emphysema. The sudden loss of consciousness and irregular action of the heart are the most common complaints of cardiac patients. In most cases, palpitation arises because of fear or because of concern on pre-existing heart disease or because of long-term emotional changes, for example because of a neurocirculatory asthenia. Organic causes are anemia, thyrotoxicosis, debility and paroxysmal tachycardia. Usually there are two types of palpitations: Sinus tachycardia, fast and hard heart beating that can begin gradually or suddenly, but still slows down gradually, caused by exertion or during arousal. Premature ventricular systoles can cause to heart specific sensations such as “skipping shock” or “deadlock and strike again”. Patients with paroxysmal tachycardia describe feeling of rapid, regular palpitations. This sensation begins suddenly, lasts a few minutes or hours, and then stops suddenly. In younger patients, there are no other symptoms, except in cases when an attack is extended. In elderly patients, paroxysmal arrhythmias can lead to angina pectoris, congestive heart function, or syncope. Paroxysmal atrial fibrillation occurs as a rapid and irregular action that starts and stops abruptly. Patients usually do not complain about the occurrence of chronic atrial fibrillation. For the purpose of diagnosis it is necessary to take an ECG during episodes of palpitations. However, other clinical factors are used in making a diagnosis. It is necessary to observe the clinical action of the heart, heart rate and rhythm, the effects of fatigue and pressure on the carotid artery. Add to this the age of the patient and possibly other diseases. If we take into account all of the above elements, the diagnosis can be set up without an ECG.